CIP is committed to the concept of social inclusion and seeks to be a catalyst in promoting innovation and opportunities for community development. CIP promotes integration between communities and works towards the creation of a society in which all are respected regardless of race/nationality. Community Intercultural Programme is registered with the Northern Ireland Charities Commission. Charity Number 102018 and is governed by a Management Committee. CIP’s vision is of inclusive society which contributes to social cohesion and equality for all. CIP actively promotes equality, values diversity and opposes discrimination in all its forms. CIP is committed to collective action informed by people’s experiences and an analysis of their circumstances. Therefore CIP’s primary method of operation is supporting and encouraging community action amongst disadvantaged within ethnic communities. CIP will conduct its affairs in an honest open transparent and accountable way to its members. 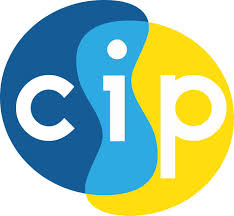 CIP values its volunteers as the key resource of the organisation. CIP will strive for excellence in all we do in order to provide high quality and effective leadership and support. CIP is a community based group composed of representatives from culturally diverse communities. The group offers a range of services to both indigious and new communities. CIP aims to establish an information and knowledge network which will contribute to building an equitable society which respects difference and celebrates diversity. Develop networks and partnerships with community groups. Create effective methods to consultation with the new communities at a grassroots level. Liaise and consult with local groups in order to promote good relations, community cohesion and integration. To design and cooperate with projects and events which seek to improve the status of all residents. To ensure access to current, reliable, consistent and relevant information. Signpost groups & individuals to appropriate services. Promote and support new initiatives which address social inclusion and economic disadvantage. To organise activities and facilitate opportunities which respond to and highlight the needs, rights and contributions of diverse communities. Support community development and participation in local activities. Engage with and be inclusive of all members of all communities. Develop an authentic voice for BME communities. Identify and raise awareness of inequalities, racism and human rights violation. To advocate on issues relating to new communities at all levels of government for the improvement of services. To encourage active participation in the decision making processes which affect the every day lives of all communities. Provide information, advice and training which will improve the infrastructure of new community groups. Provide a platform for public sector consultation with BME communities and assist in the development of regional strategies and policies.